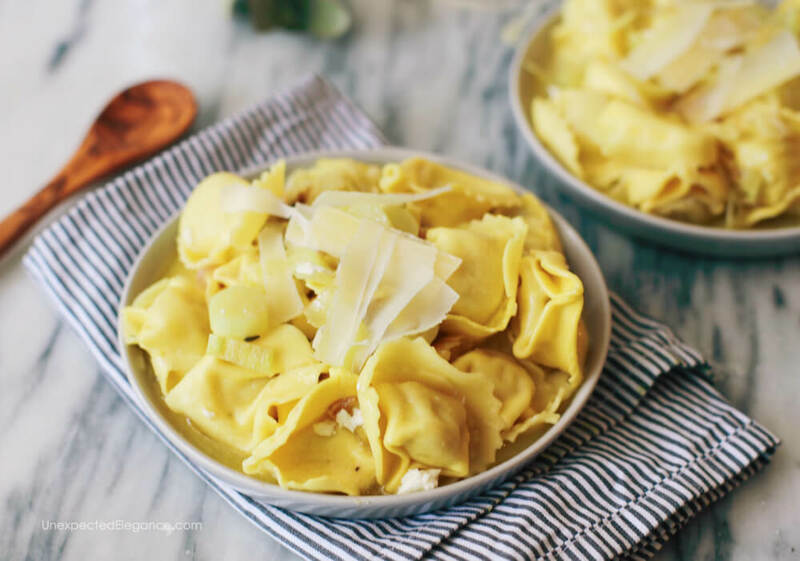 This super easy and quick White Wine Leek Ravioli dish is perfect for weeknight dinner when you have a million things going on. No one will know how simple is to whip up! 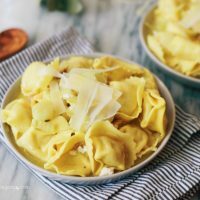 The ravioli is a great date night dish or dinner idea to have on hand when you want something that’s fancy but really easy! 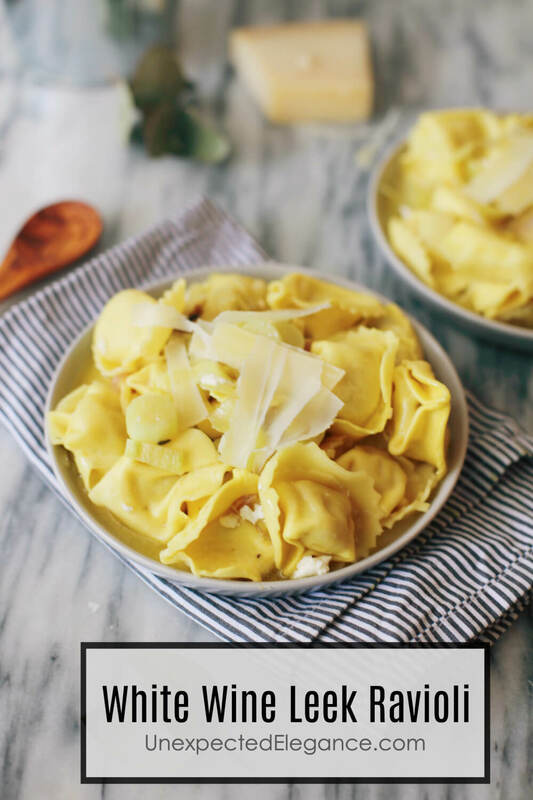 I’m always looking for quick meals that taste like they took a lot longer to create and this one fits the bill. It’s also a meal that ingredients can be swapped out for ones you have one hand. You can also change the ravioli for a cheaper variety of pasta, it’s really the sauce is what elevates this dish. Also, changing the leek for red onion is also really good. AND if need a protein, it’s delicious with lemon grilled chicken. Start the pasta, then in a big pan heat the butter. Add the sliced leeks and cook for 6 minutes or until most of it it’s transparent and you have a couple of crunchy golden bits. Next, pour in the white wine and cook for 2 more minutes or until the wine has reduced. Then add the heavy cream and the salt, pepper and chili flakes. Lastly, combine the ravioli, the cooking pasta water, lemon juice, and the lemon zest. Let it cook for 2 additional minutes stirring constantly. Remove from the heat and serve with parmesan cheese. Add the sliced leeks and cook for 6 minutes or until most of it it's transparent and you have a couple of crunchy golden bits. Add the white wine and cook for 2 more minutes or until the wine has reduced. Add the heavy cream and the salt, pepper and chili flakes. Add the ravioli and the cooking pasta water, add the lemon juice and the lemon zest as well and let it cook for 2 minutes stirring constantly. For more quick meals, check out these posts. 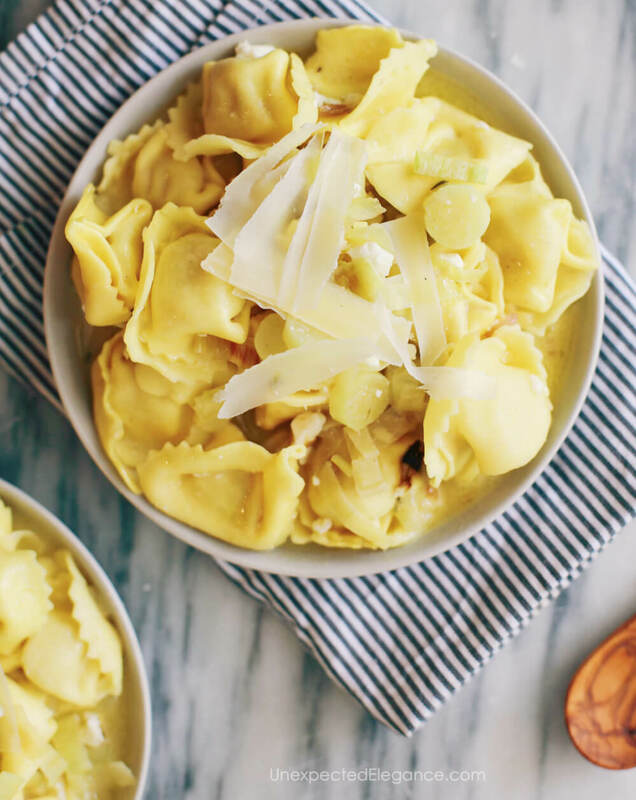 What’s your favorite easy, weeknight dish?